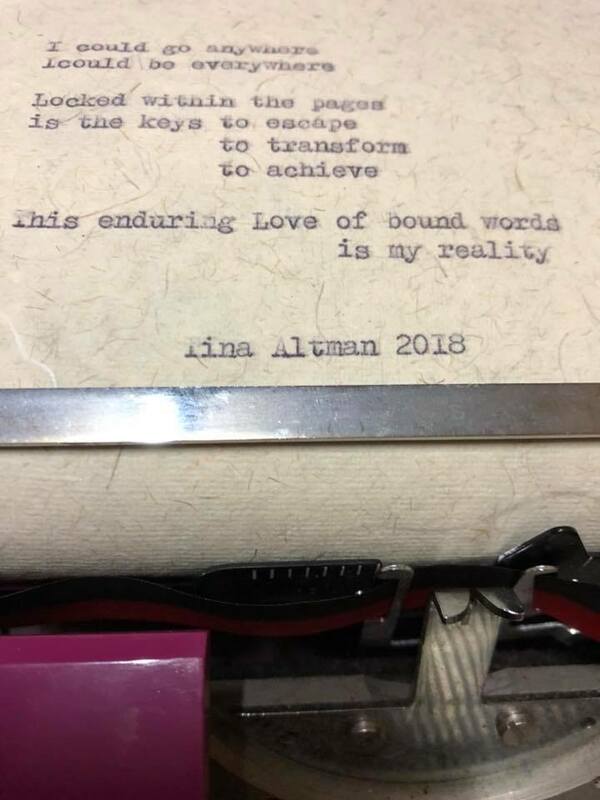 I used my favourite typewriter last night to help me write my stream of consciousness poetry and this was my second attempt. I feel it was easier to use this particular typewriter due to it being a portable one and having a lighter touch. This poem was written for my friend Pam Collom so it has that title.